"Credibility is hard to earn but Artistry Labs has helped my company gain instant credibility with decision makers. I can't put a high enough valuation on my website design and functionality. But the best part about working with Artistry is they nail the creative process. They really listen to my ideas which is a direct result of years of experience understanding how to please the client but still give direction to the art." 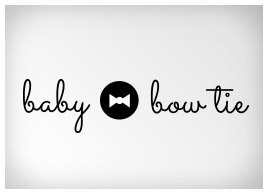 Kat Armstrong, founder of Baby Bow Tie, believes that life moves really fast and can be hectic, and that it's the little things that can make all the difference. One of the little things that caught her attention was baby clothes and accessories. As a mother of a precious little boy, she wanted to take something practical and necessary and make it enjoyable and unique. 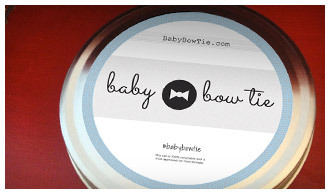 Artistry Labs helped Kat turn this idea into reality in the form of Baby Bow Tie. We worked with her to design a website where she can sell affordable, high-quality, high-style bowties for little ones like her own. We also designed a logo and product packaging that would capture the heart of other shoppers. 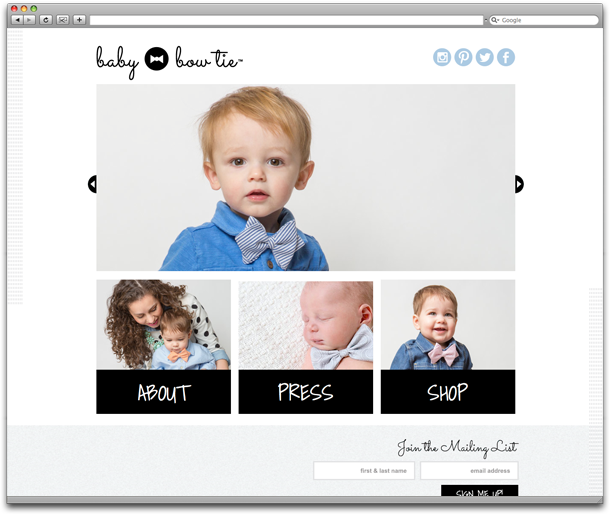 Baby Bow Tie quickly went from a small online retailer to being sold by major retailers such as Neiman Marcus and Nordstrom, and is loved by moms and young gentlemen alike.